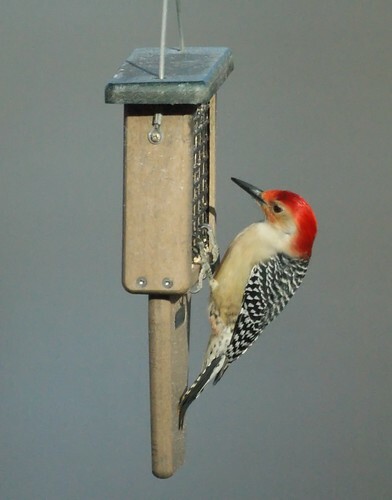 Here's a beautiful red bellied woodpecker. 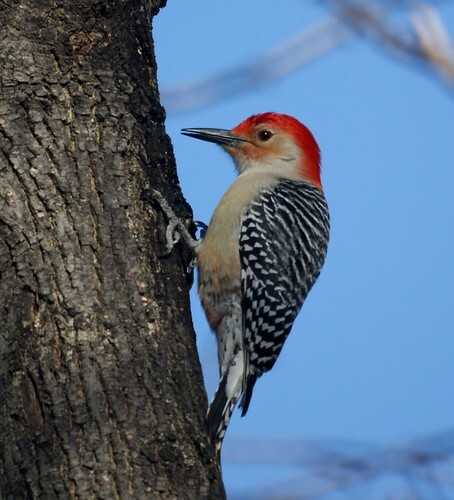 We can hardly wait to see this spring's baby woodpeckers. We've ordered their favorite insect suet. I have a bird like this in my backyard, but it has a white mohawk! Does anyone know what it is? I'm pretty sure it's a woodpecker because it hops around on tree trunks.